Keon Richmond, 34, of Brooklyn, was charged with criminal mischief, menacing and harassment for setting the 26-year-old woman's 2013 Nissan Maxima in East New York on Oct. 13. BROOKLYN (WABC) -- The ex-boyfriend of an off-duty correction officer fatally shot in Brooklyn was charged with setting a car belonging to another ex-girlfriend on fire in October. Keon Richmond, 34, of Brooklyn, was charged with criminal mischief, menacing and harassment after the 26-year-old woman's 2013 Nissan Maxima was set on fire in East New York on Oct. 13. 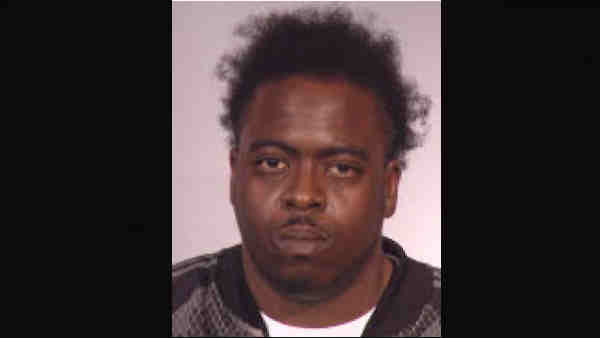 Authorities say he was arrested in Brooklyn Wednesday morning on an outstanding warrant, reportedly found by members of the New York/New Jersey Regional Fugitive Task Force hiding in a basement closet. Detectives will continue to question him in the Dec. 4 slaying of 25-year-old Alastasia Bryan, fatally shot as she sat in her car at East 73rd Street and Avenue L.
He had been described as a person of interest in Bryan's murder, but no charges have been filed. A security video showed the suspect firing five bullets into her car, killing her. A second man also was seen on surveillance video.